Girl’s Maker ORIPUCHI – Global Resonance Inc. Even closing the eyelids, they look natural. Just apply and dry it! 1: Just apply and dry it. Because it is “non-adhesive type” that does not stick the eyelids, the blink will also become natural. It does not show like “I am making my double eyelids with makeup”. 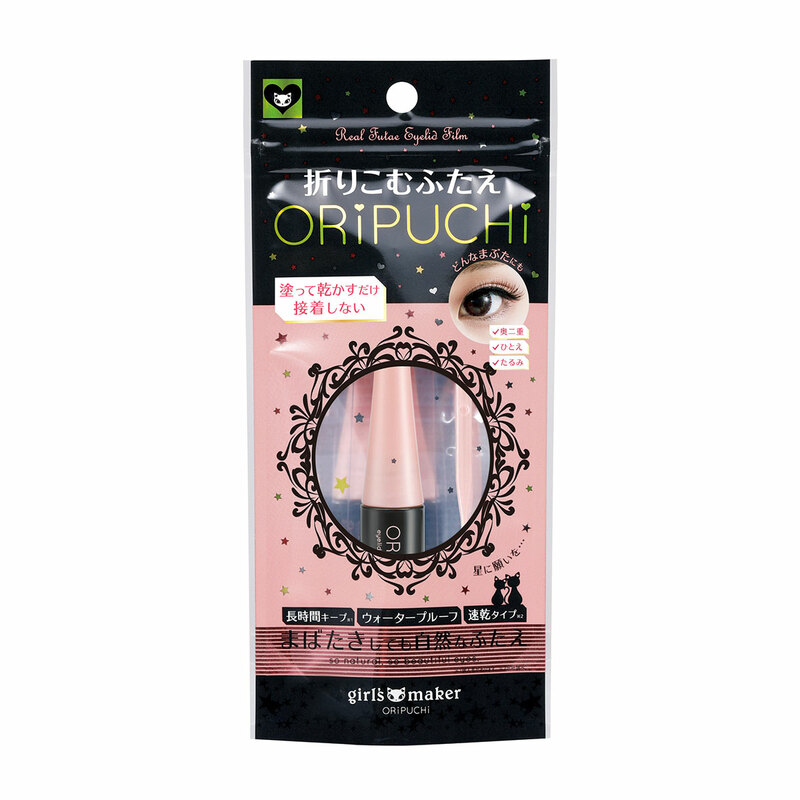 2: It can be used for any type of eyelids such as single eyelids, hidden-fold double-lids, slack eyelids. Even the sagging eyelids look sharp by folding the skin which makes eyelids lifted up. 3: Waterproof prescription. Quick-dry type. 4: Because it contains the beauty ingredients such as Ceramide and Hyaluronic Acid, It cares the eyelids all day. 5: It can be used even on top of makeup.